If you suffer from stiff and painful joints, you may have osteoarthritis. At Faith Medical Center, in Charlotte and Mooresville, North Carolina, the team of health care professionals diagnoses osteoarthritis and provides customized treatment plans to relieve your pain and help you maintain an active and healthy life. Call Faith Medical Center or schedule a consultation online today. Osteoarthritis is the most common type of arthritis, affecting around 27 million Americans. While there are hundreds of varieties of arthritis, osteoarthritis is the degenerative form of the disease that develops as the cartilage that lines your joints wears away. Without cartilage, the bones in your joints rub together without any lubrication or protection, which leads to excessive friction, irritation, swelling, and pain. Osteoarthritis can affect any joint in your body from your feet and ankles to your cervical spine and jaw. With personalized medical treatments, you can manage your arthritis pain and maintain an active and pain-free life. 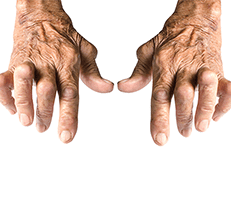 The primary sign of osteoarthritis is joint pain and tenderness to touch. You may also experience stiffness and a reduced range of motion. You may feel or hear a grinding sensation when you move your joint. Osteoarthritis can also lead to bone spurs, which feel like hard lumps around your joint. The team at Faith Medical Center diagnose osteoarthritis with a physical exam and diagnostic imaging studies. During your exam, your provider observes your joints, checking for tenderness, swelling, and a reduced range of motion. Your provider may order X-rays or MRIs to examine the inside of your joints for signs of osteoarthritis. While osteoarthritis is a chronic condition, your provider at Faith Medical Center offers personalized treatments and therapies to reduce your pain and restore your range of motion. Your treatment plan may include medication to reduce the inflammation in your joint and physical therapy to build strength and flexibility in the muscles that surround your arthritic joint to increase support and stability. In some cases, you may benefit from intra-articular injections of collagen or hyaluronic acid to lubricate your joint. If your joint has severe deterioration, and conservative treatment doesn’t reduce your pain, your provider may recommend joint replacement surgery. If you’re concerned about osteoarthritis, call Faith Medical Center or schedule a consultation online today.